Bales & Lamb's Marketplace was founded over 60 years ago by the Findley and Lamb families respectively. In 2004 Signature Northwest, LLC a locally owned investment group was formed to specifically address the need for the continued presence of the successful local independent grocery store. They believe that the locally owned and operated grocery store is an integral part of a vibrant community and help strengthen the economy by providing jobs with competitive pay, supporting local farmers, ranchers, and other like-minded businesses. The acquisition of Bales Market and Lamb's Market will assure the continued presence of these integral local grocery stores to their communities. Today Signature Northwest LLC operates four Bales & Lamb's Marketplace in the Portland Metropolitan area that continues in the tradition of what the Findley and Lamb families started by focusing service, quality, and value while supporting the community. Would you like to begin a career with our team at Bales & Lamb's Marketplace? 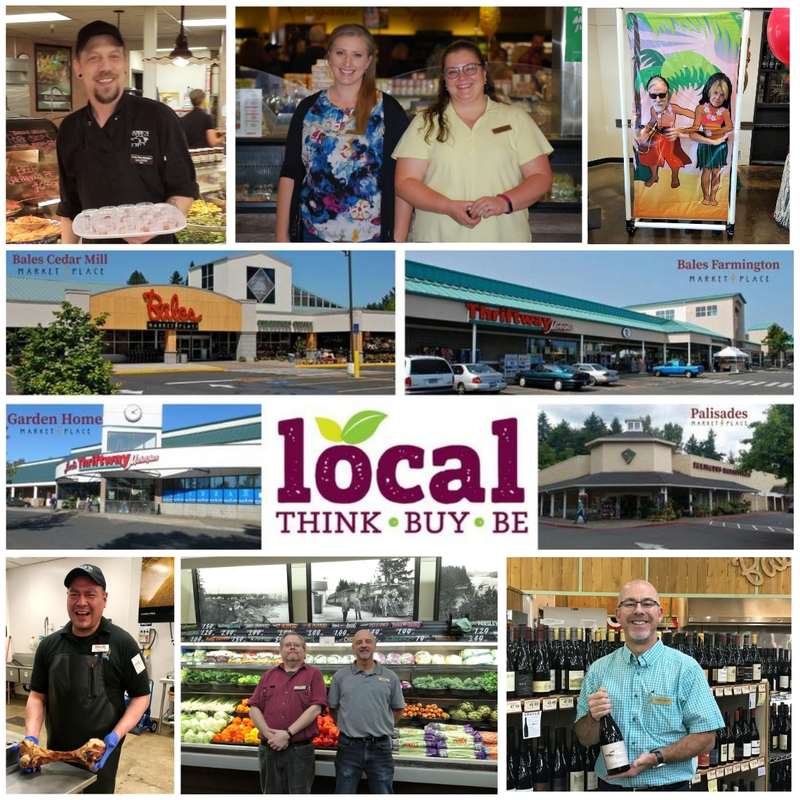 As a locally owned and operated independent grocery store, our associate's work side by side to meet goals and accomplish the tasks each day brings. This means the store directors, department directors, or even the owner may be stocking the shelves beside you or unloading the truck with you. Bales & Lamb's is a company that has an "open door" policy and access to all levels of leadership. We encourage all associates to ask questions, contribute ideas, and offer solutions to encourage our growth and success. We are looking for people who love food, engaging people and building community, who have a sense of humor and can have a good time! At Bales & Lamb's we strive to create a positive environment where work is fun by building lasting relationships with each other and with our customers. Must be able to communicate pleasantly and efficiently with all customers, vendors, and fellow employees, under all circumstances. As an employee you may also be a member of a labor union. Generally, regular associates must be 18 years of age or older. Occasionally, we hire students and others who are at least 16-years-old, but this must be approved in advance by the Store Director. Special work rules apply to these employees as set forth by the Bureau of Labor and Industries. Click on either button below to apply today. One link will take you to current opportunities at Bales Farmington and Cedar Mill, the other link will take you to current opportunities at Garden Home and Palisades. Job opportunities are listed by job description and area code. By applying online, this expedites the process and our management team will be notified of your inquiry to join our team. If you do not hear back from us please know your application has been received and you will be contacted if there is a match between your talents, experience and skills with the position you have applied for. Thank you for your application and interest in working with Bales & Lamb's Marketplace.